Moving can be stressful enough, so relocating to a brand new area can be that much more overwhelming. If you’re not very familiar with the new area, you will be frantically searching trying to find who to contact for certain things. Your real estate agent can be a great resource to guide you in the right direction while you get settled in the new area. Contact us for more information about Southwest Virginia or to help with your Abingdon home search. If you’re thinking about moving or will soon be relocating to Abingdon, VA or the surrounding Southwest Virginia area in the near future, use this list of helpful resources to make your search of getting to know the area easier. The region offers convenient travel to within approximately half of the U.S. population. Abingdon is located near three major Interstate corridors: I-81 (with 3 interchanges in town), I-77 (~50 miles north), and I-26 (~36 miles south). Two local airports provide air travel in and out of the region. These are the Virginia Highlands Airport (VJI), which is a regional base for corporate and private airplanes, conveniently located between Abingdon and Bristol, and the Tri-Cities Airport (TRI), which is a full-service commercial airport offering flights to four major hubs, located only ~35 minutes from Abingdon. Freight rail service is provided to the area by CSX and Norfolk Southern. Bus transit service is provided by Mountain Lynx Transit. Click to see routes and schedules. Manufacturing, retail, government, and healthcare are the largest employment industries in Washington County, VA. Click for more in-depth community profile report from the Virginia Employment Commission. Abingdon offers eight public schools and one private school serving grades K-12. Click for more information about all public schools in Washington County. The area is also home to three continuing education facilities: Virginia Highlands Community College, Southwest Virginia Higher Education Center, and Emory & Henry College. Virginia Highlands Community College is conveniently located off Exit 14 and is also where the campus of the Higher Education Center is located, which provides classes and services for both students and adults wishing to expand their knowledge further. Emory & Henry is the oldest college in Southwest Virginia and is a 4-year institution with over 25 programs of study. Click for more information about VHCC. Click for more information about the Higher Ed Center. Click for more information about Emory & Henry. According to areavibes.com Abingdon’s livability scores ranks better than 87% of areas. Click for the full report. Southwest Virginia offers several housing style and location options from an in-town condo or traditional home to a farm house in the country. We have a team of professionals that will help you find the style and location that will fit your lifestyle. 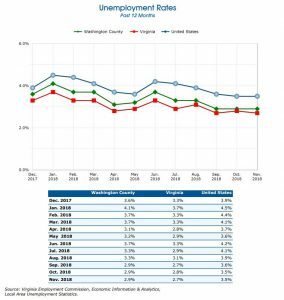 The median residential sale price for Washington County, VA is approximately $150,000. The lower housing cost and natural beauty of the region are why many choose to call Abingdon or the surrounding area home. The cost of living is ~12% less than the Virginia average and ~15% less than the national average. Click for more information on Abingdon cost of living and taxes. Ready to Buy in Southwest Virginia? Let's Get Started!